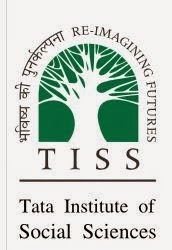 The School of Human Ecology in the Tata Institute of Social Sciences, Mumbai has ONE vacancy for the post of Assistant Professor on AD HOC basis, for a period of one year, from June 2015. The period of appointment may extend beyond one year. The candidate should have a Master’s Degree in Psychology with specialization in Clinical Psychology or Counseling. Preference will be given to candidates with Ph.D. and relevant field practice, teaching experience and publications. The candidate will be required to teach in the M.A. Applied Psychology programs of TISS, coordinate fieldwork activities of the students of M.A. Applied Psychology, provide mentorship to students who need assistance, help in teaching if necessary, help in supervision of fieldwork, supervise psychological assessment and carry out other activities necessary for smooth functioning of the Center. The Assistant Professor will work under the supervision of the Dean, School of Human Ecology. Candidates based in Mumbai, with knowledge of the city will be preferred. Academic Grade Pay of Rs.6,000. Candidates who have the following qualifications may please apply. i) Good academic record with at least 55% of the marks or an equivalent grade of ‘B’ in the 7 point scale with letter grades O, A, B, C, D, E and F at the Master’s Degree level, in the relevant subject from an Indian University, or an equivalent degree from an accredited foreign university. A relaxation of 5% will be provided from 55% to 50% of the marks at the Master’s level for the SC/ST category candidates, and to the Ph.D. Degree holders who have passed their Master’s Degree prior to 19th September 1991.
iii) Candidates, who are, or have been awarded a Ph.D. Degree in accordance with the University Grants Commission (Minimum Standards and Procedure for Award of Ph.D. Degree) Regulations, 2009, shall be exempted from the requirement of the minimum eligibility condition of NET/SLET/SET for recruitment and appointment of Assistant Professor or equivalent positions in Universities/ Colleges/Institutions. BY MONDAY 1st JUNE 2015.